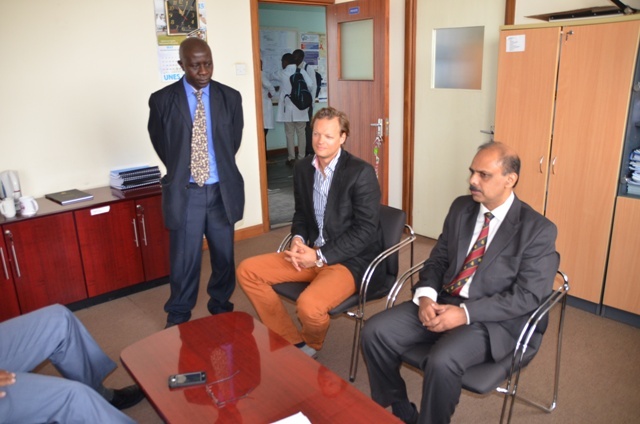 Hand surgeons Dr, Tilman Stasch and Dr. Krishna Kumar paid a courtesy call on the Chairman of surgery on 29th June 2015. The two are in the hospital to take part in the second hand surgery workshop. Dr. Stasch, our external examiner has visited the department before, while Dr. Kumar is from Calicut in Keral, India and works at the Baby Memorial Hospital.